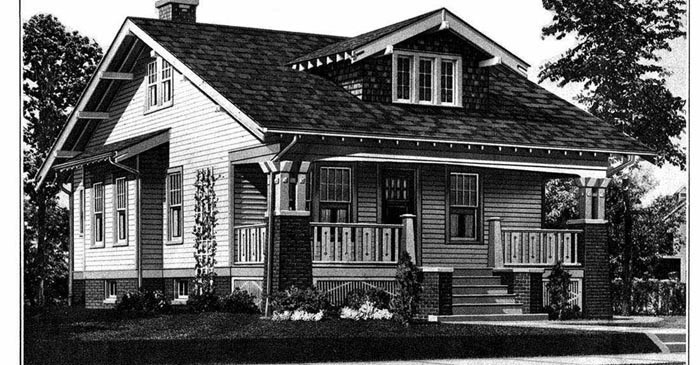 Northbrook still has a couple Sears houses that have not fallen victim to the wrecking ball. Here's a lovely Sears Vallonia on Waukegan Road. Closeup of the pillars on the Vallonia. These pillars were found on several of the Sears models. This Sears Vallonia has its original railings and pillars, and hasn't undergone any drastic modifications over the decades. Fred Kodym built this house. He started in the spring of 1924 and completed the house by December. Fred owned a trucking company. By 1942 Fred and his family had moved to Niles.